Combitherm has provided customers all around the world with high-tech cooling systems and solutions for more than 35 years. The company is located in the southern German industrial region surrounding Stuttgart. 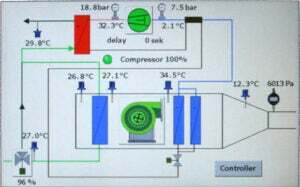 As a manufacturer and service provider its main activities are in the areas of refrigeration technology, heat pump technology, heat recovery and energy technology. The comany’s specilities include the manufacturing of mobile, self-sufficient air conditioning and cooling units for parked aircraft. These units’ modular concept and container-based design provide a large variety of customised solutions. 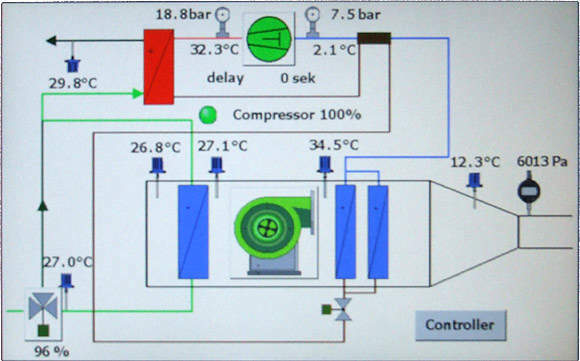 The systems are equipped with either compressor-driven direct expansion cooling or water/glycol heat exchangers. Hybrid systems with combined DX/water cooling can also be built. 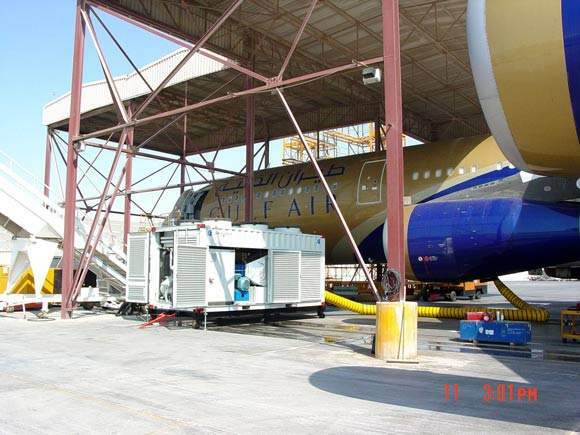 Our mobile air-conditioning systems can provide pre-conditioned air for all kinds of aircraft up to the new A380. 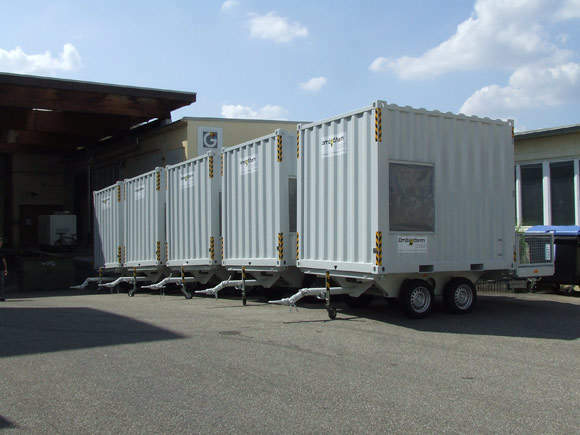 A modular approach with many options allows us to adapt the units to the special requirements of our customers. They can weigh between 45t and 150t. Air-conditioning units for temperatures ranging from -20°C to +55°C can be supplied, as well as facilities for aggressive air and features like sound attenuation and web-based machine monitoring. For all-season operation a heater coil is integrated alongside the cooling devices. 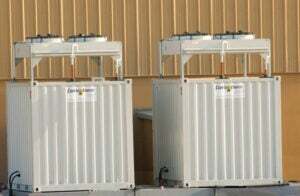 Power can be generated by means of an integrated genset or from the plant’s grid. A military version is available on request. 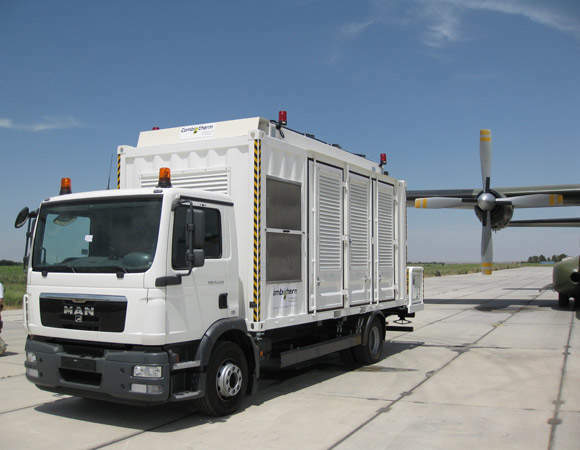 We supply container-based aircraft cooling systems for hangar or airfield applications. These can weigh between 45t to 180t, and have the same features as our mobile systems. The stationary units can be installed inside or outside the hangar, close to the passenger bridge or on the airfield. 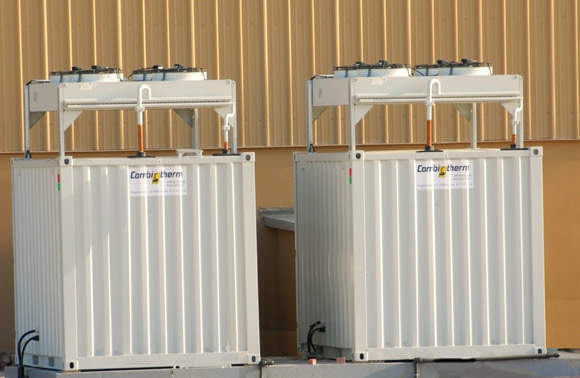 Combitherm provides chilled water for hangars, terminals, other buildings and special applications. Special features like high-temperature execution, sound attenuation and monitoring systems are available. The available size is from 20t to 350t for air-cooled chillers and 20t to 800t for water-cooled chillers. Providing hot water for hangars, buildings or special applications, special features of our heat pumps include high temperature execution, sound attenuation and monitoring systems. The maximum hot water temperature is 75°C, with capacities of up to 600t per unit. Special heat recovery and combined heating/cooling options allow a large variety of building and process improvement.